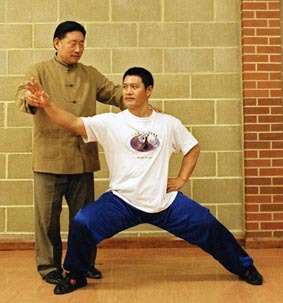 I began practicing Yang family taiji quan back in the early Eighties and over the years have dipped into different Nèijiā schools and experienced different teachers. Back in the day, information on Chinese martial arts was thin on the ground and we drew our inspiration from Kung Fu films and the skills of Bruce Lee and the odd book. In 2011 it’s different story. 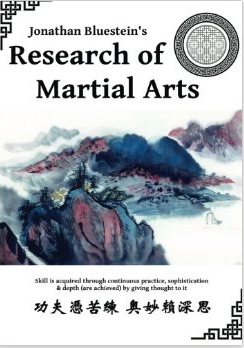 There are dozens of books and manuals, You Tube has an incredible array of footage featuring great masters and an incredible array of styles, there are excellent training DVDs available from Chinese masters and other excellent practitioners in the west, and training in China is accessible. Only the other day, I was talking to Benjamin Zephania, who is a Wing Chun adept, and has made regular visits to Chejiagou village – the home of Chen taiji – to further his skills. I am basically obsessed with the world of “Nèijiā (內家, lit. “internal school”). 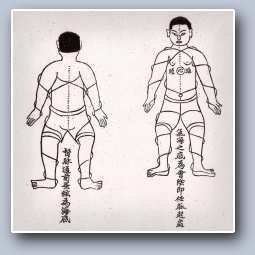 Within the Chinese Martial arts it is a grouping of styles that practice nèijìng (內勁, lit. “internal strength”). Taijiquan (T’ai Chi Ch’uan), Baguazhang (Pa Kua Ch’ang), and Xingyiquan (Hsing-I Ch’uan), YiQuan (I-Ch’uan/Dacheng Quan), Liuhebafa …the Japanese art of Aikido…all adhere to Nèijiā principles. 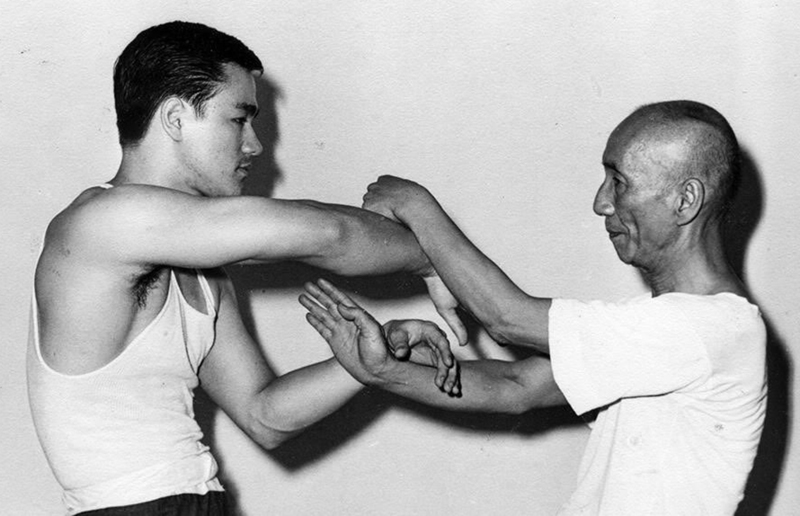 In fact, a lot of so called “external” styles have a strong internal element – Wing Chun is a good example. 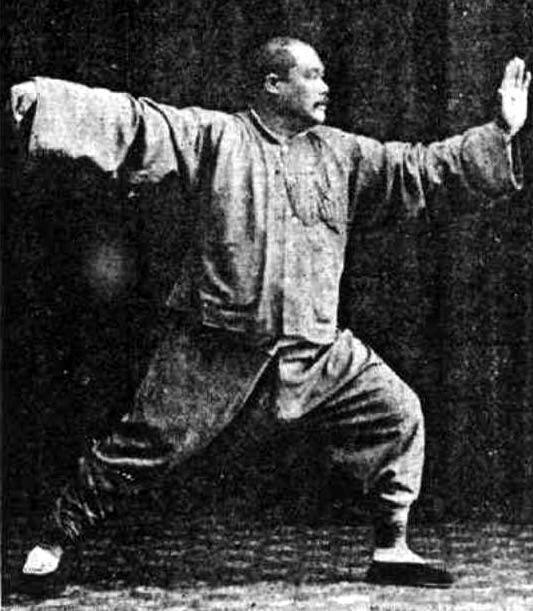 In these times, taiji quan is more associated with health than self defence but historically it was conceived as a fighting art and that’s why I currently practice Chen family taiji quan at the taiji Circle with Shifu Quan Jun Liu (along with a little xing yi quan which I learned from Marnix Wells and Alex Kozma). 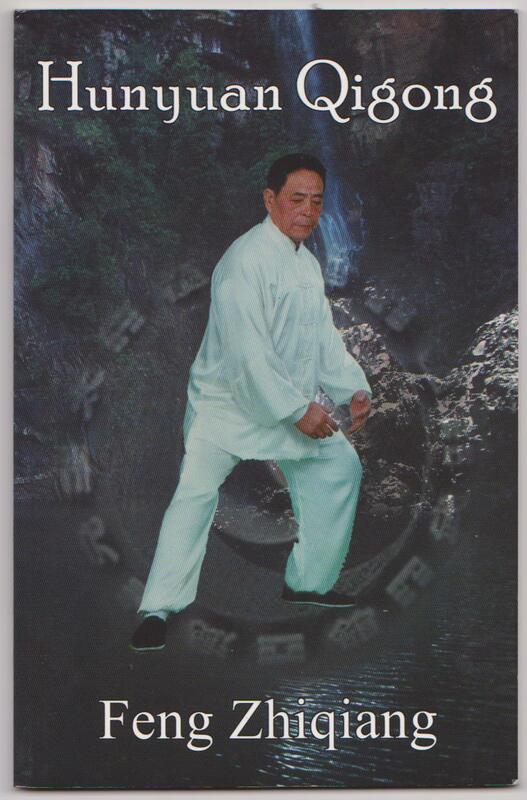 Chen taiji quan is the root of all the taiji styles – Yang, Wu, Sun. It is a seriously comprehensive system with various hand forms, two partner sets and weapons. It has deep spiralling energy and explosive moves (fajin). So… rather than waffle on, the plan with the Ancient To Future blogspot is to share some of my experiences and thoughts re. martial arts and hope you might find some of it interesting. I might do a few interviews, review some DVDs, books etc.,tip you off to nice vids and bogspots and post interesting quotes I come across… basically, have a bit of fun! It’s March 015 and 240 page offering from Paris based Daoist and martial artist, Serge Augier, is hot of the press. 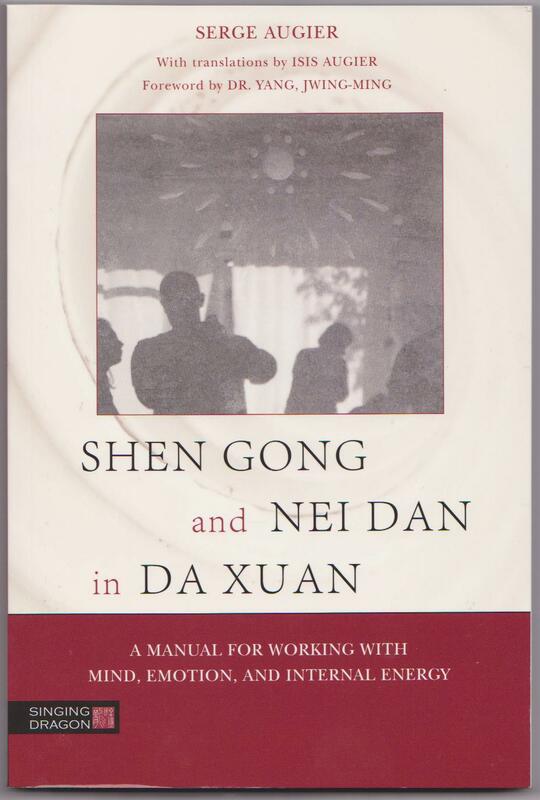 So far, I’ve only perused Part 1 – which deals with The Basic Principles and Theory of the Da Xuan (Big Secret) tradition to which he belongs – and wil therefore restrict myself to saying this book has all the signs of becoming a classic. Based in Israel, Jonathan Bluestein is the founder of the Tianjin Martial Arts Academy, where he teaches the traditional Chinese martial arts of Xing Yi Quan and Pigua Zhang. This chunky tome is a work book, a work in progress, that’s been done in the spirit of exchange and it is pleasure to read. This book is recent addition to the canon, it surfaced at the end of 2014 and whether you are a skilled practitioner or a beginner this is an essential read. Having done some lessons and workshops with Alex Kozma I can testify he is a widely traveled, dedicated, skilled practitioner of bagauazhang and xing yi quan and a very relaxed, nice guy. Having bought several of own self published books in the past I’m glad he’s found a good publisher that can do justice to his efforts. This book. ‘Warrior Guards The Mountain’, documents his encounters with a diverse array of martial artists like Steven Benitez and Serge Augier and gives plenty of food for thought. Anyone practicing Chen family taijiquan needs to read this small but revealing book as Grandmaster Chen Xiaowang lays out the Five Levels that one is expected to progress through on ones journey to mastery. Another Chen master who recently passed away is Feng Zhiqiang. He was a top student of Grand Master Chen Fake – who introduced Chen taijiquan into Beijing – but interestingly, Master Feng developed his own branch of style called Chen style Xin Yi Hunyuan yaijiquan. He combined his knowledge of Chen family taijiquan with the Xinyi Liuhe quan of another practitioner, Hu Baozhen, who was famous for his Qi Gong. 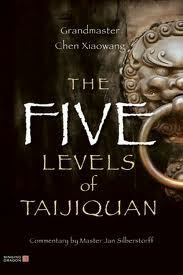 This 55 page book outlines Feng Zhiqiang’s Neigong as learnt from Hu Baozhen. A little gem. 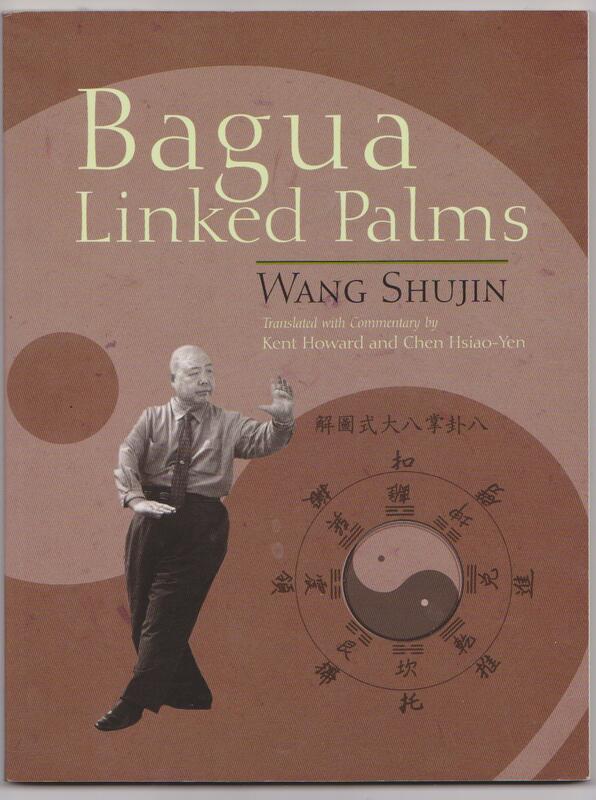 As I’m interested in and have practiced some Xing Yi Quan and Baguazhang I have give props to Kent Howard for his two books on late Taiwan based Master Wang Shujin. Both are very clear and combined with his DVD on the Linked Palms are good basis to start walking the circle. Martial Arts is something we have in common PB. I was mad for karate back in the Bruce Lee days and obtained my 1st dan black belt in Wadu-ryu karate. I don´t train any more but the different fighting styles and eastern philosophy still interest me. Look forward to this. Yeah… just gona post some stuff… interesting reading… good you tube clips.. few thoughts on training…despite the Manchester drizzle I still went out into my neice’s garden and did a couple of long forms (chen family taiji)… felt good after… I suppose it’s routine and I dont feel right if I skip a day. Interesting! 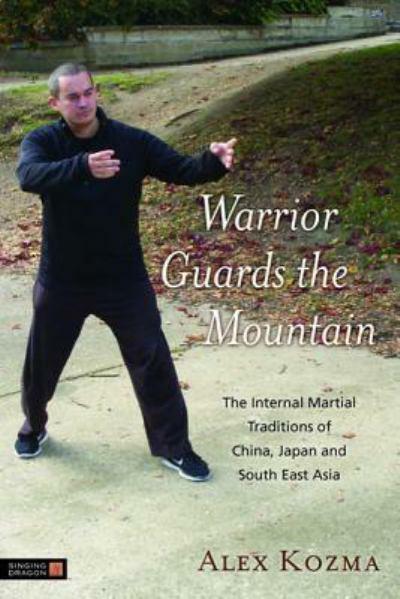 I’ve trained and researched internal styles over the years such as Baguazhang, etc – Actually two amazing and recent books on the subject I would soooo recommend are Alex Kozma’s Warrior Guards the Mountain and Lindsey Wei’s Valley Spirit. I’ve also always been interested in Capoeira, which I so happened to have discovered through SNC. I’ve been studying Capoeira Angola more intently for the last couple of years, learning the music etc. Still love Asian internal styles though and Yoga too! Hi Paul, great blog. Thanks for sharing your insights and the info on the internal arts. I published a book on Cheng’s taiji, interview with his disciples in SE Asia where they discuss in depth his training of neigung, qigong, etc Would you be interested in reviewing the book on your blog? Happy to send you a review copy. Please let me know. –Mark Wiley. Thanx for the positive comments… would love to review the book on the blog, though I don’t practice Cheng’s tai ji anymore I’m still interested especially in relation to the neigong/ qiqong etc as during the time I was training at John Kells’ school in Wimpole Street there was no qigong, which was strange as he professed to be able to uproot and throw people without actually touching them. Back then we did the Cheng short form, Yang Chen Fu’s long form (right side & left side – the latter of which I really enjoyed). He also taught CC Chen’s two person “dance” – which sadly I never completed – we got some way into it and he suddenly stopped teaching it…. so, yeah definitely up for a read. I’m just getting into Jonathan Bluestein’s’ Research Of Martial Arts, well worth a visit, gonna put a few words up on line before the new year I hope.